I have long, thick hair so it my scalp doesn’t always get enough air to “breathe.” Add in living in a desert and the fact that it’s winter and I pretty much always get a dry scalp, sometimes itchy, sometimes flaky this time of year. I have tried so many things – washing it more (which actually makes it worse), special shampoos, special conditioning treatments, drying it with a hairdryer, hair oil. Some of these things will help a little, but not make it go away, at least for me. Then I looked into stash of essential oils and had a thought. I did a little research and tried a few drops every day or every other day for a few weeks. I cannot express to you how well it has worked! It is sooo much better just from the oils. Within about 2 days there was no itchiness and 3-5 days the flakiness went away. Not even dandruff shampoo does that! I used Doterra melaleuca (also known as tea tree oil), peppermint, lavender and lemon. Im actually not a huge fan of the smell of melaleuca, but I think mixed with the others it actually smell divine! These 4 mixed actually smells like some high end hair products I’ve used, so afterward you can just sniff your hair all day. Ha! I’m no oil expert but here’s what I recommend based on what worked for me. Test all the oils on your skin to ensure you don’t have any topical sensitivity. I know melaleuca in particular can cause some sensitivity if you don’t have a pure enough oil. Open all the bottles and then drop oil directly into the palm of your cupped hand. Mix between your palms and fingers, then flip your head over, put your fingers through your hair, and rub oil onto your scalp. Move your hands around so you get it all over. You can wipe excess oil off onto your hair and ends. 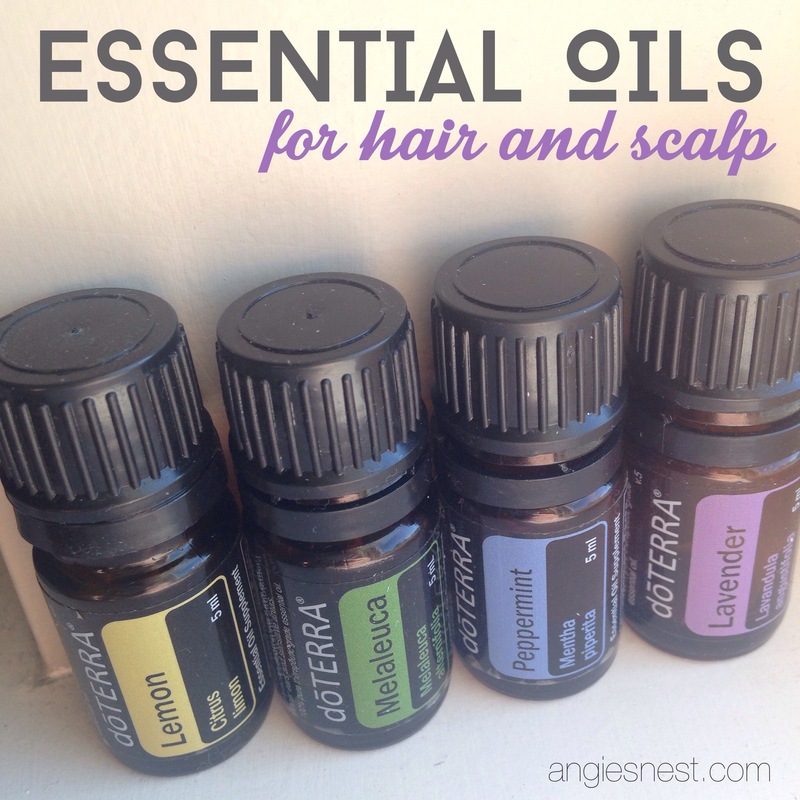 I compiled a little research, so here is a little more info on each of these essential oils for your scalp. Peppermint Oil for Scalp: Peppermint oil is an anti-inflammatory, promotes blood flow and soothes the itchiness. It leaves a tingly sensation on your scalp which feels so good! It helps rid of dandruff and even absorbs excess oil on the scalp. It moisturizes your hair and scalp while also promoting hair growth. Melaleuca Oil: Also known as tea tree oil, Melaleuca is used commonly in various hair products for scalp and hair health. It’s a common anti-viral and anti-fungal and has been used for centuries to heal wounds. Lavender Oil: Lavender is known for soothing and calming, and can be used to do the same on skin. If your scalp is particularly irritated, you can add it additional drops of this to your mix. Lemon Oil: Lemon helps detox your body and contains anti-oxidants and helps ward off bacteria that can build up on the scalp. It has a fresh scent and I think helps tame out the smell of the other three. thanks for this great articl. it’s really helpful for all…….